The Montego Bay Chamber of Commerce tried to clarify its position on the $17 million welcome sign, which has caused some controversy. The Chamber stated that it supports the standard of products planned for use in the sign, but it has concerns about the budgeted cost. Winston Lawson, the Chamber president, urged authorities to ensure that the project goes forward in a cost-effective manner. Edmund Bartlett, Jamaica’s Minister of Tourism, ordered his permanent secretary to review the project in response to objections to the cost of the new sign. The new sign is meant to replace a “Welcome to Montego Bay” sign damaged in a traffic accident in 2018. The United Nations Development Program (UNDP) has urged Jamaica’s government to implement paternity leave for working fathers of newborns. Brimp Pouezat. UNDP Resident Representative, stated in a media release, that the program has adopted a policy of gender inclusion at its Jamaica country office and worldwide and that the program has experienced good results. He went on to say that Jamaica is encouraged to implement paternity leave and that UNDP staff, both men and women, can testify on the improvements to family resulting from the initiative. The government of Barbados is on its way to revise its international business laws by the end of 2018 to be in compliance with Organization for Economic Cooperation and Development’s (OECD) Base Erosion and Profit Shifting (BEPS) Action 5 on Harmful Tax Practices. The new program will be effective January 1, 2019. 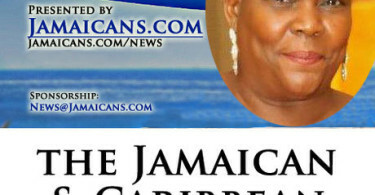 Pearnel Charles, Jamaica’s Minister of State in the Ministry of Foreign Affairs and Foreign Trade, is calling on leaders of the Jamaican Diaspora in the United States to develop plans that will give the Jamaican community a stronger voice in the country. He made his remarks in the keynote speech at the opening of the first Jamaica Diaspora USA leadership summit in Georgia on November 17, 2018, The event centered on creating a cohesive Jamaica Diaspora development plan as well as to encourage the network based in the US to become a structured entity that would enhance the contributions of Jamaicans in overseas locations. Tax Administration Jamaica (TAJ) is expected to have a fully operational mobile app that will facilitate registration and fitness payment fees for motor vehicles online within four months. The app, which will run on a mobile device like a smartphone or tablet, will remove the necessity of waiting in line at TAJ locations to make these payments. It will also permit individuals to search for a motor vehicle using its identification or chassis number and view and print payment history. Notifications concerning registration, fitness and insurance expiration dates will be provided via the app as well. The app is under development by eGov Jamaica Limited through its Innovative Hub division. In 2013, Jeremy Whittaker, writer, director and executive producer of “Destiny,” decided that the success of his film indicated that the film industry on the island was ready to expand. Now in 2018, Whittaker has returned to Jamaica to encourage even greater industry expansion through the establishment of the Jamaica Film Council. Whittaker stated that the council’s mandate is to make contributions to the development of a sustainable and lucrative local film industry in Jamaica that can showcase the island in a positive light and strengthen its industry infrastructure. The top seeds in the men’s and ladies’ main draws have both qualified for the semi-finals of the BCIC All Jamaica Senior Squash Championships for 2018 at the Liguarian Club in Kingston. Defending champion Chris Binnie is looking for his eighth career title. He defeated 13-time champion Wayne Burrows on November 21, 2018, to stay on track to retain his title. On the ladies’ side, junior national team player Mia Lake defeated the 2017 runner-up Alex Jordan in a five setter. She outplayed the more experienced rival to earn her spot in the semifinals. All Jamaica Under 17 champion Mia Jahfood defeated Nathlee Boreland to stay in contention for her first senior national title.